Hi everyone! Lots going on today! 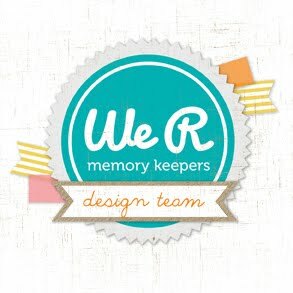 I'm hopping along with Lori Whitlock's Creative Team for our December blog hop, AND I have a fun project posted over on Doodlebug's blog. 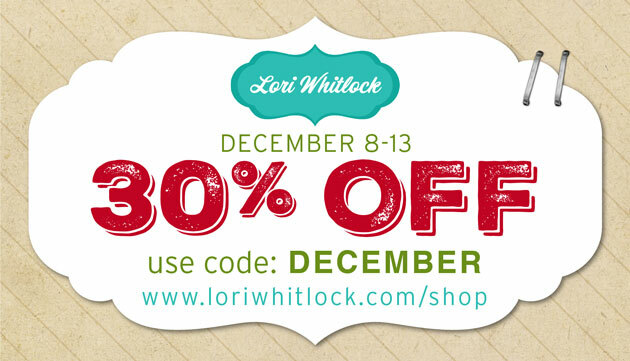 ...now scroll down to continue Lori Whitlock's blog hop! 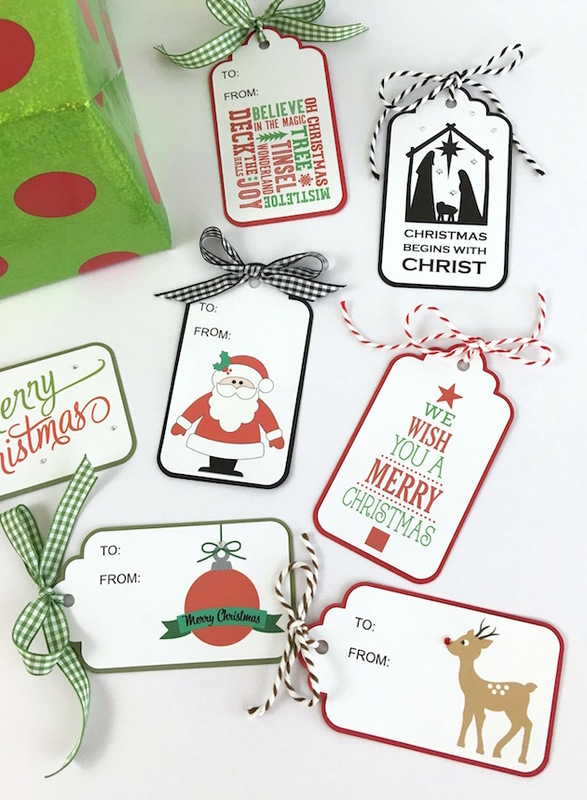 I've got a Christmas tag tutorial to share with you! 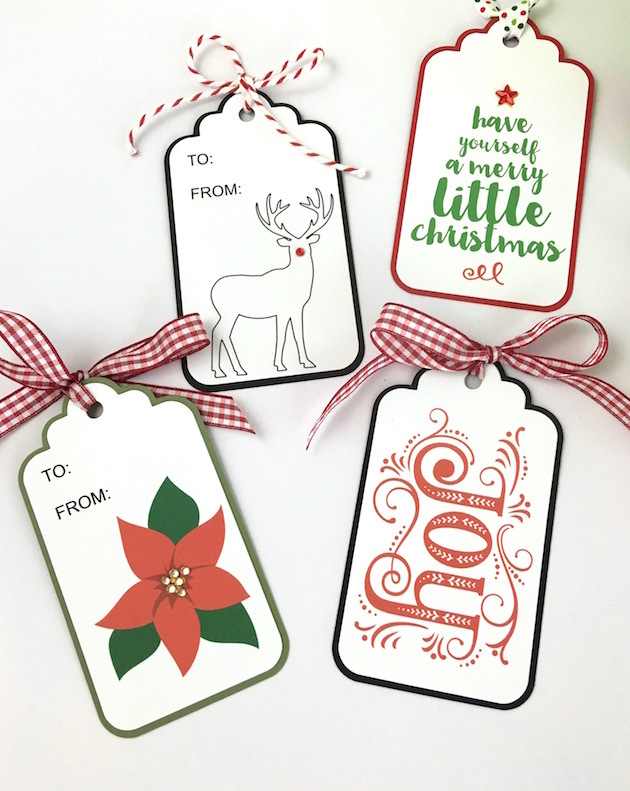 For my blog hop project, I created some Christmas tags for my gifts. These are really fun to make and super easy! 1. 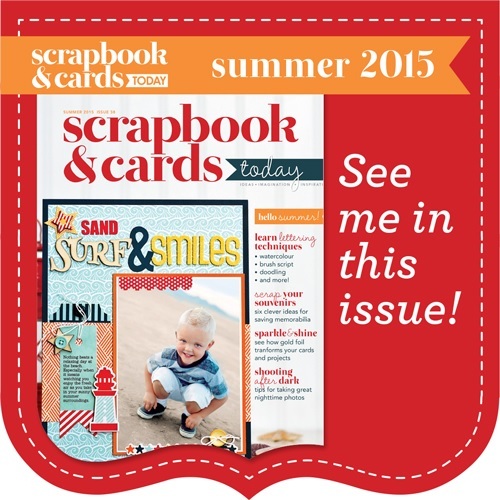 Duplicate Lori's tag file several times on an 8.5x11" mat in your Silhouette software. 2. Go to Lori's shop and download Christmas shapes and phrases ... both work great! 3. 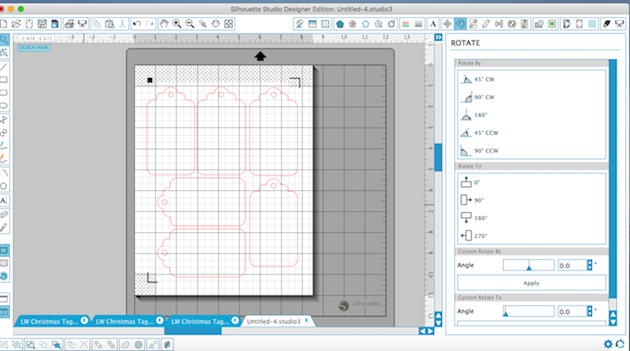 Resize the phrases and shapes so that they fit into the tag shape, and add fill color if needed. 4. Select the Christmas shape or phrase and hit "no cut" in the cut settings. Be sure that the tag shape is still set to cut. 5. 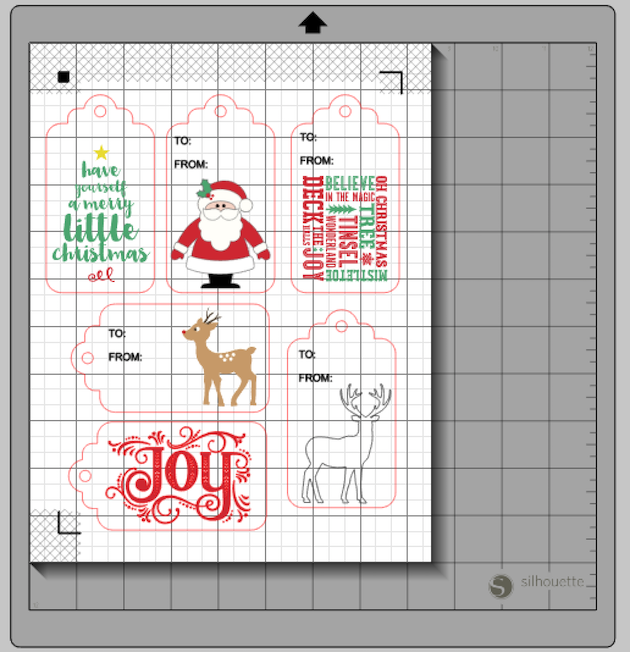 Once you have colors filled, shapes sized, and cut settings chosen, PRINT the tags on to white cardstock. Be sure registration marks on turned on! 6. 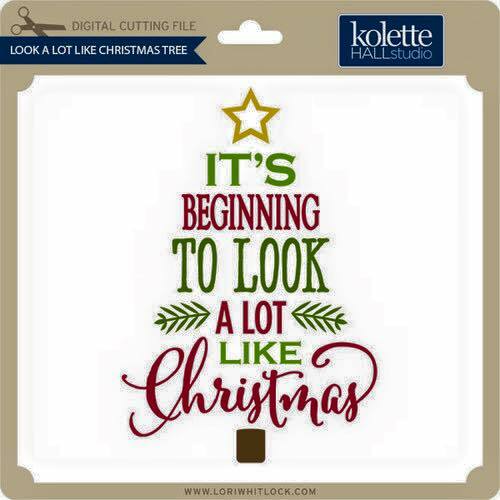 Once printed, use your Silhouette to cut the tags out. 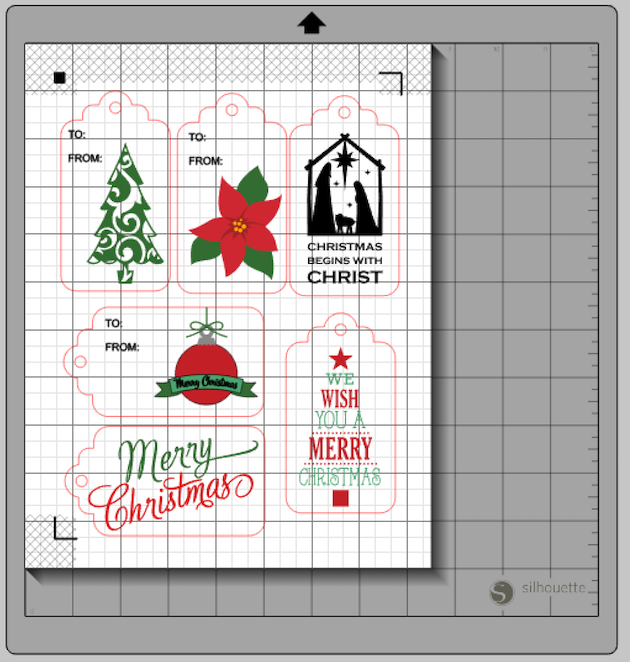 You can also create an OFFSET background to mat the tag on colored card stock. 7. Finally, add ribbon, Doodlebug's chunky twine, gems, or other details to really make your tags the highlight of your Christmas packaging. I know that was a quick tutorial, so let me know if you have any questions by leaving a comment. 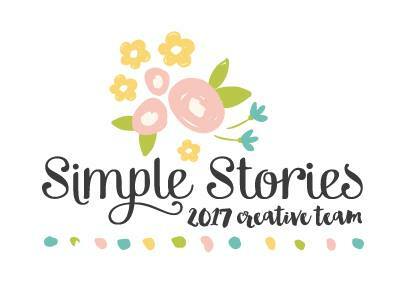 Now, back to Lori's blog hop .... don't miss these awesome goodies too! 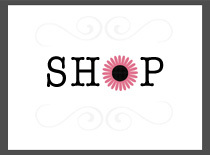 Leave a comment on Lori's blog for a chance to win a $20 Gift card in her shop! I love your tags and the tutorial! 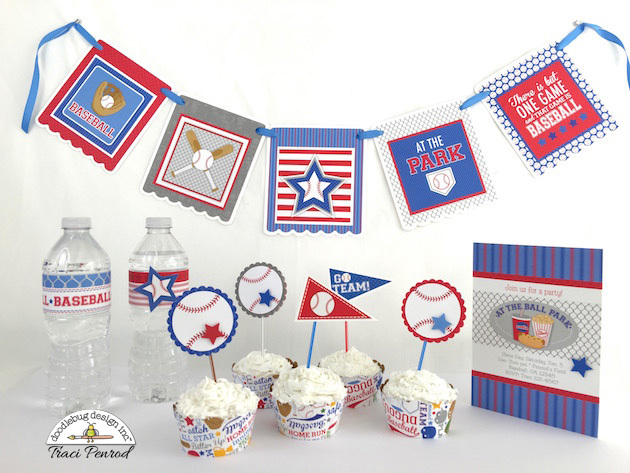 The party elements look fun, too! Your tags and tutorial are just perfect! 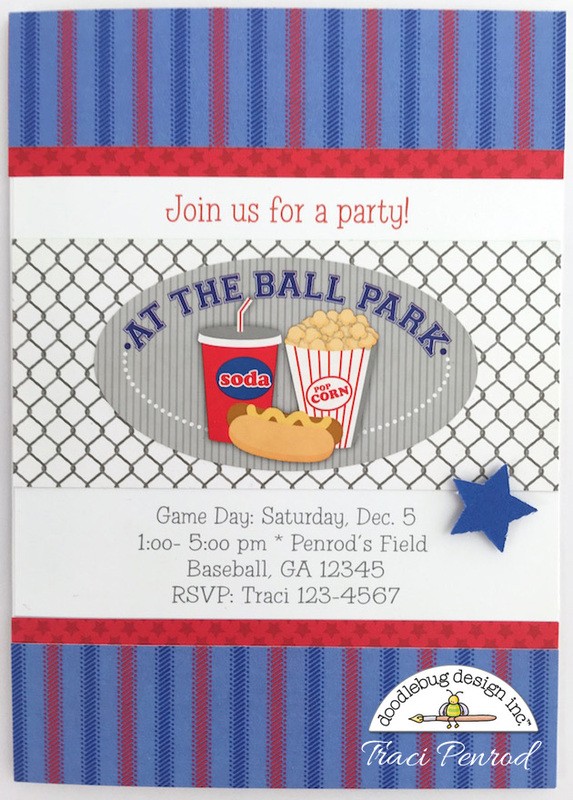 And the baseball theme party decor is amazing!! !